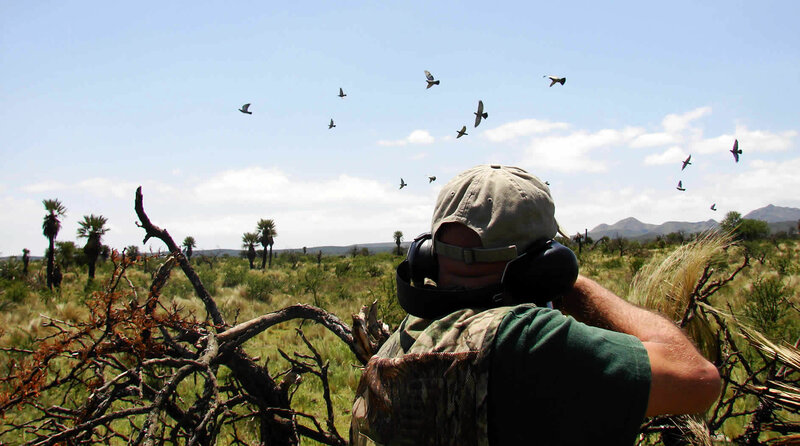 Our Doves & Pigeons Wingshooting Program is built around several partner lodges who we know offer the kinds of experiences that are consistent with El Encuentro's fishing and quail hunting experiences. 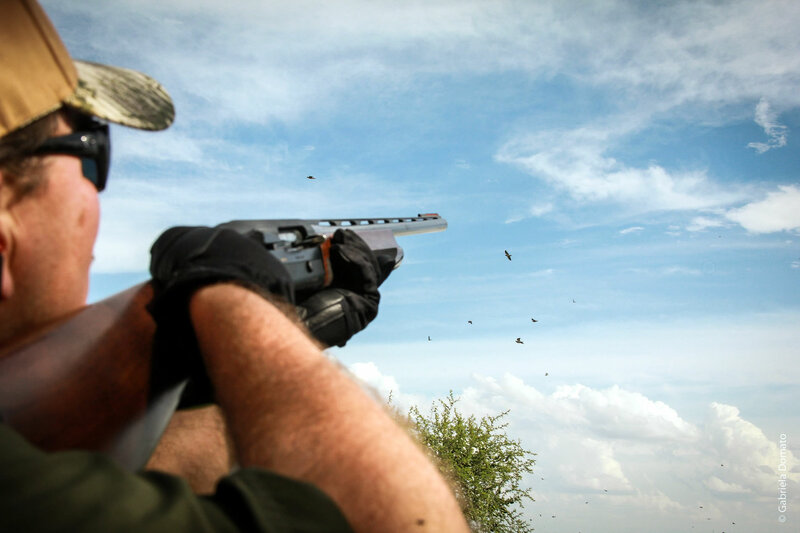 Dove shooting in Argentina is one of the most thrilling shooting experiences you'll experience anywhere. Between the volume of shooting, the challenge of the target, the scenery, and camaraderie, you won't forget a wingshooting trip in our part of the world. 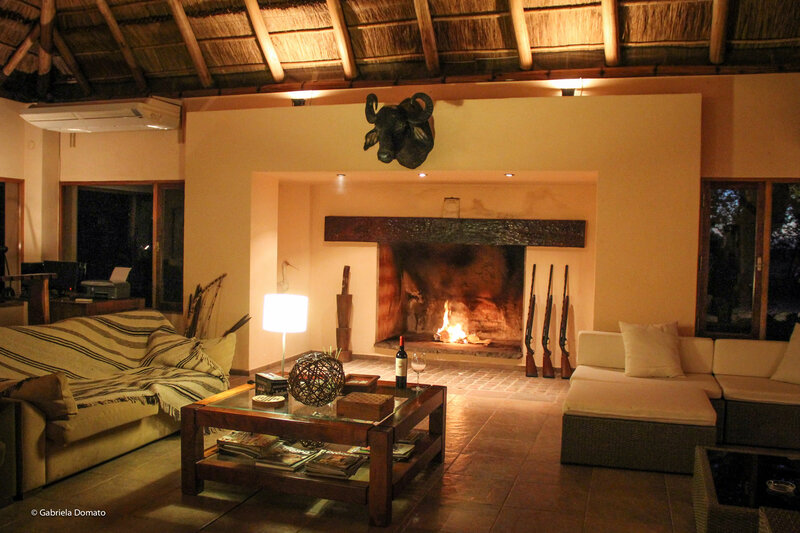 This lodge is located near Las Lajitas, a small town about an hour and 45 minutes' drive from the Salta City Airport. Not far from the majestic Andes Mountains and southern Bolivia. 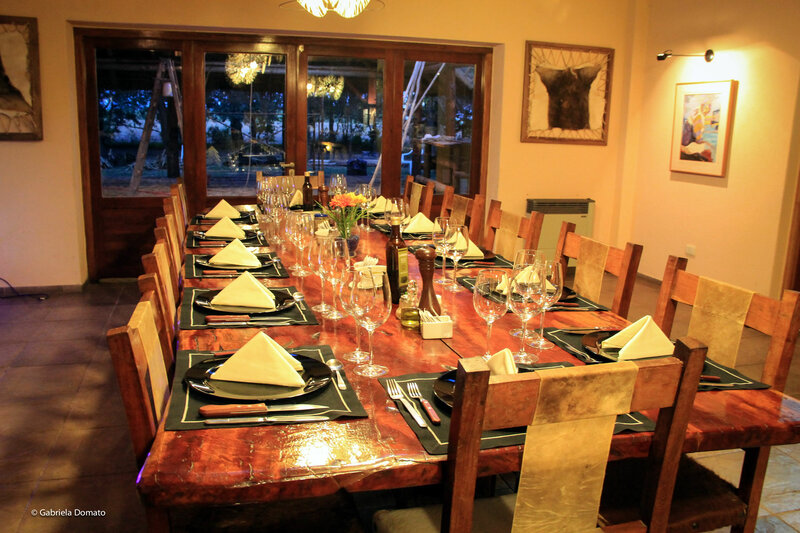 Chacu Lodge is framed by the picturesque, tree-covered Centinela Mountains, and — due to its northerly location closer to the equator — it enjoys a pleasant, temperate climate most of the year. The hunting takes place in a variety of settings — some days hunters may be positioned in the midst of a huge roost, the next around the edge of a harvested grain field, the next down in riverbottom or near a watering hole. On a typical day, guests can shoot for close to 8 hours with incredible numbers of birds flying in and around the hunting zones. The hunting locations aren't far from the lodge, varying from 10 to 35 minutes' drive. And since the weather is usually dry and warm, there it typically excellent shooting from March through November. 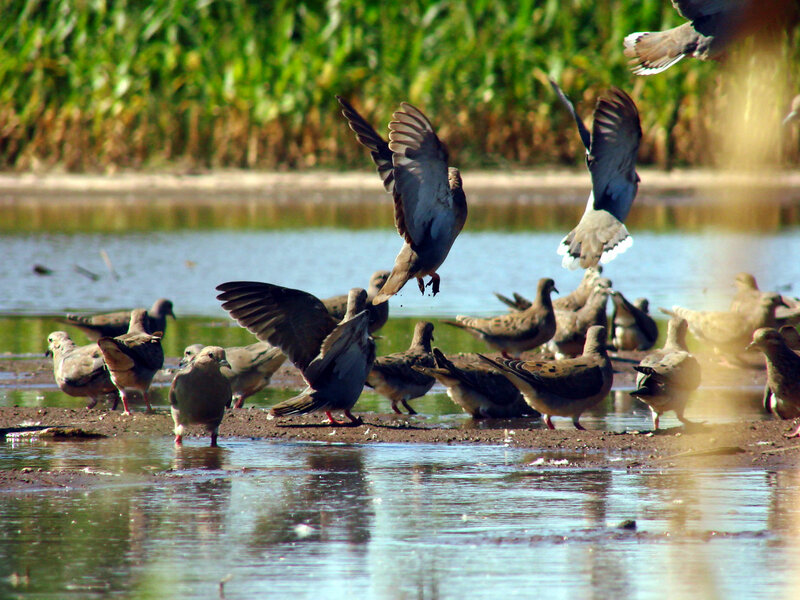 For pigeon hunting, guests have the option of pass-shooting or using decoys, depending on preferences and conditions. Progressive farming techniques ensure that literally tons of waste beans and corn remain available to hungry flocks of doves and pigeons. This grain production is surrounded and interspersed with the forest of the Gran Chaco, an area which covers northern Argentina, southern Bolivia, and western Paraguay. 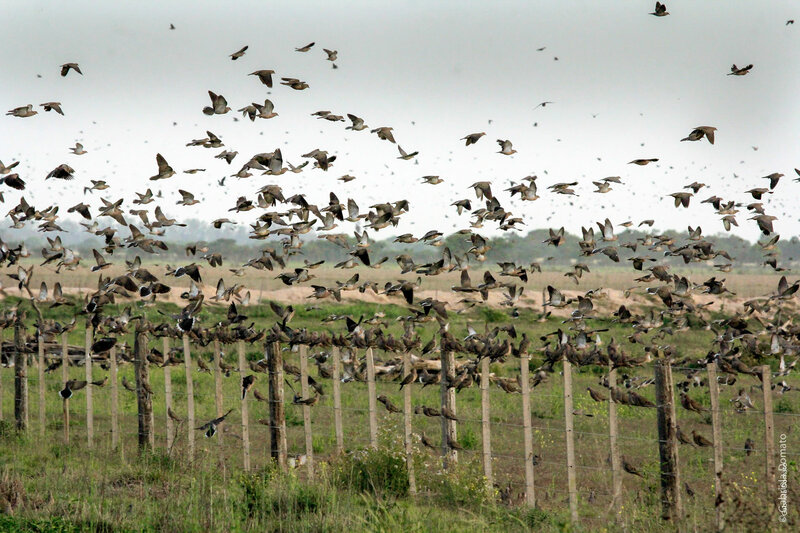 The result is a habitat in which the populations of spot-winged and Picazuro pigeons flourish in incredible numbers. These are truly high-volume pigeon hunts. 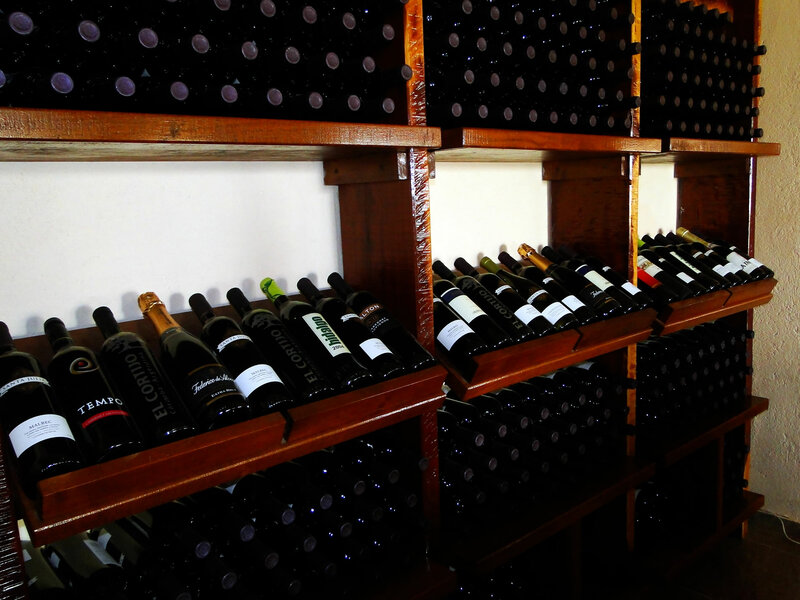 El Cortijo Hunting Lodge is only a 45-minute drive from the International Airport at Cordoba. 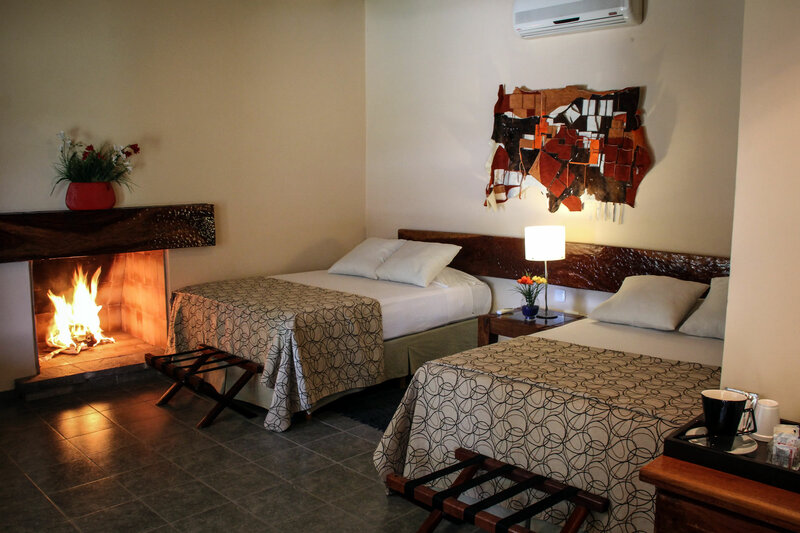 Located near the charming city of Santa Rosa de Rio Primero, this lodge offers 9 top-notch guest rooms, and can accommodate up to 20 hunters. 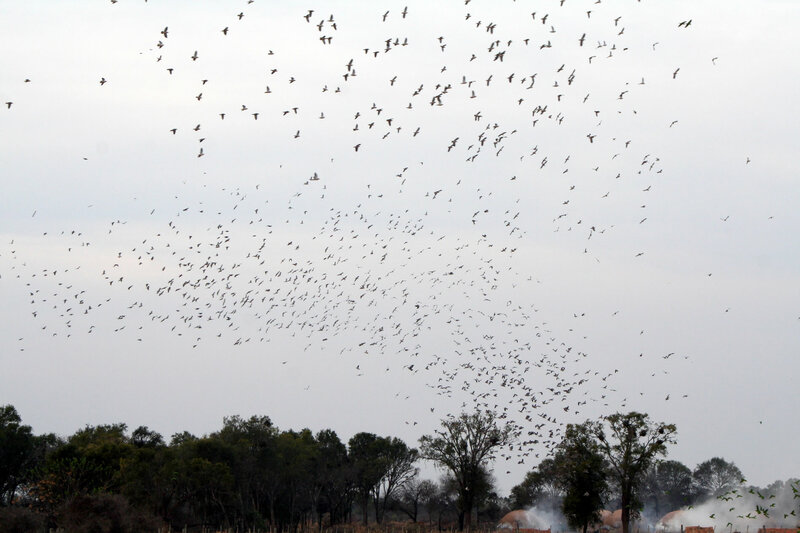 The dove hunting fields are just minutes from the lodge and the skies above are sometimes almost black with flocks of birds. 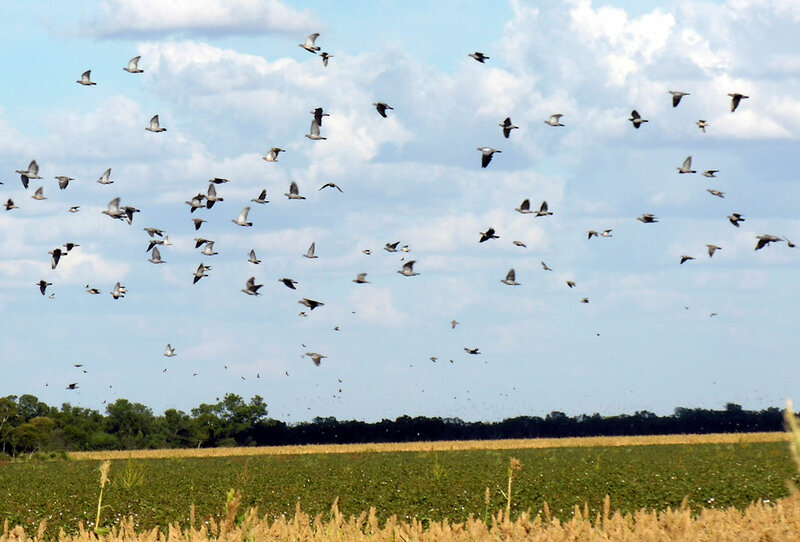 The hunting area is found northeast of Cordoba city, in agricultural farmland that grows corn, sunflower, wheat, sorghum, and soy beans — along with plenty of water — which is why the doves love it here. August through February, the birds constantly fly between the feeding fields and the roosting area, which makes for superb shooting. You can shoot at what we estimate to be something like a million birds or more a day, literally just a short walk from the lodge. 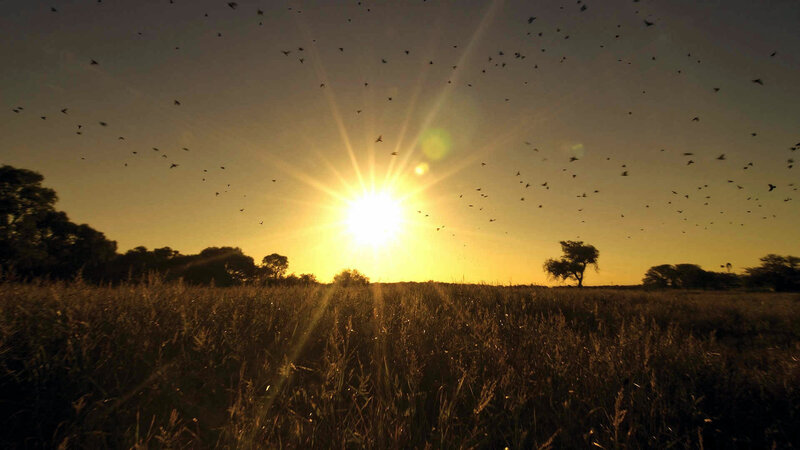 From April to July, morning hunts take place in the grain fields, while the afternoon hunts take place in fields close to the roosting areas, something like 10-15 minutes from the lodge. 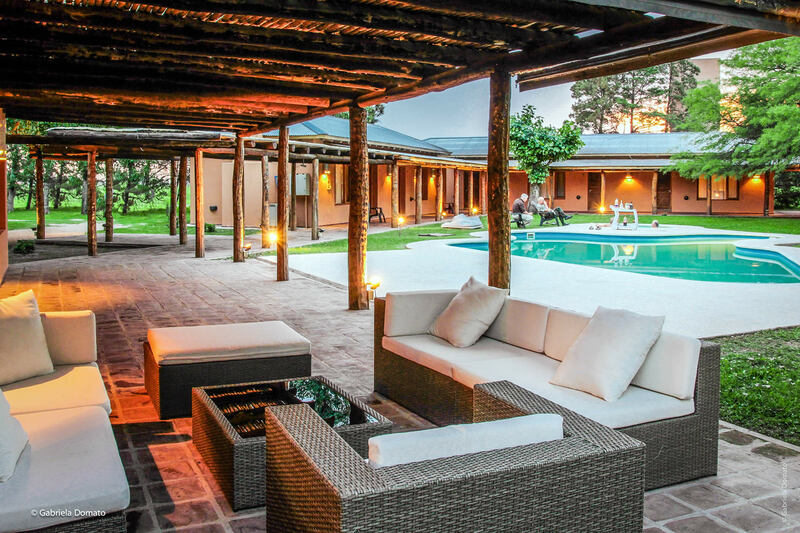 When you come to El Cortijo, bring plenty of ammunition, and be ready to experience some of Argentina's finest dove shooting while enjoying the comforts of a high-quality lodge. 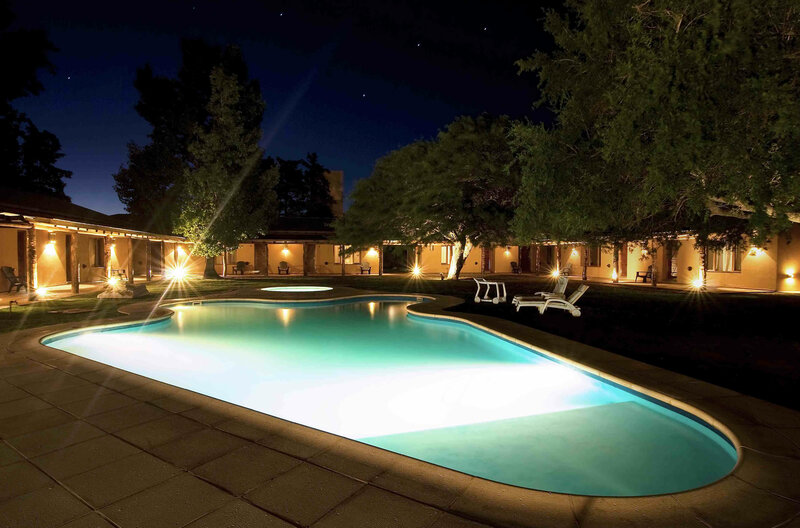 Pigeons Lodge is a very comfortable lodge set on the 3700 acre Estancia San José, tucked away in the Sierras Chicas of Córdoba. This comfortable and well-appointed farmstead offers quick and direct access to the large numbers of pigeons and doves for which the Cordoba Province and the mountains and Northern Provinces is renowned. 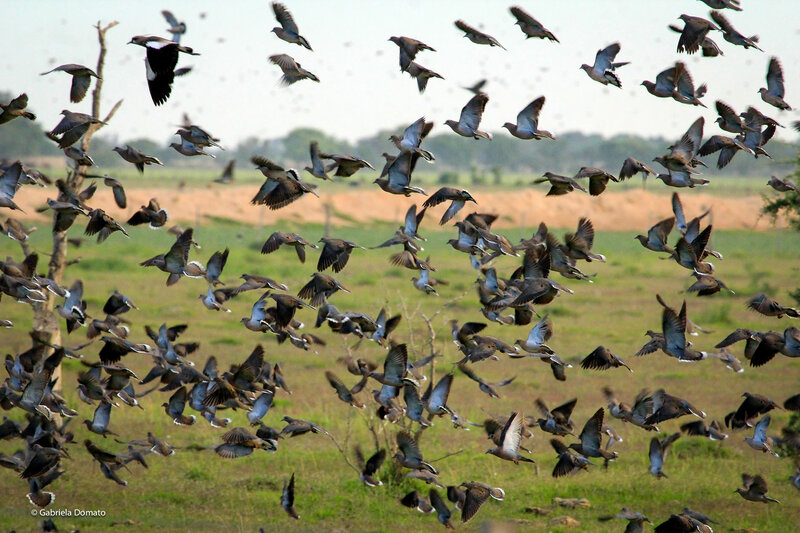 Wild pigeons are quick and relatively large, which makes for challenging shooting. They also boast superb eyesight, and quickly learn to avoid hunters and blinds. When you come pigeon hunting, be ready to swing fast and shoot a lot. Some hunters have described this style of hunting closer to decoying ducks rather than dove shooting. Strategic blinds and good camouflage are required for hunting pigeon success. Our excellent guides are very familiar with the ways of the wild pigeon. They are frequently building and moving comfortable blinds, complete with stools to sit on, decoys pre-set in the field, and plenty of shells. 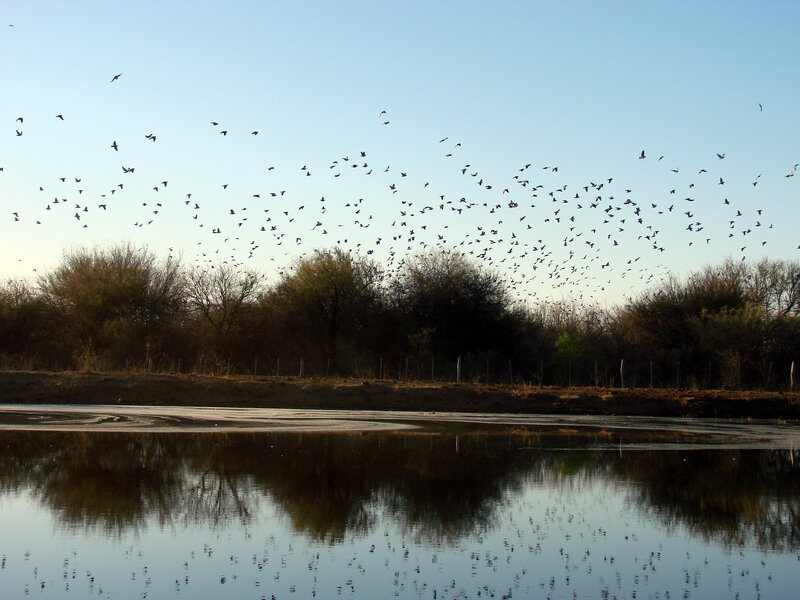 Just like doves, dove hunting goes on year around, but the best times are February through August (Argentina’s fall and winter).